Never-before-seen photos have emerged of one of the last the last uncontacted Amazon tribes who the Peru government is trying to approach after they shot and killed two men in the chest with a bow and arrow. 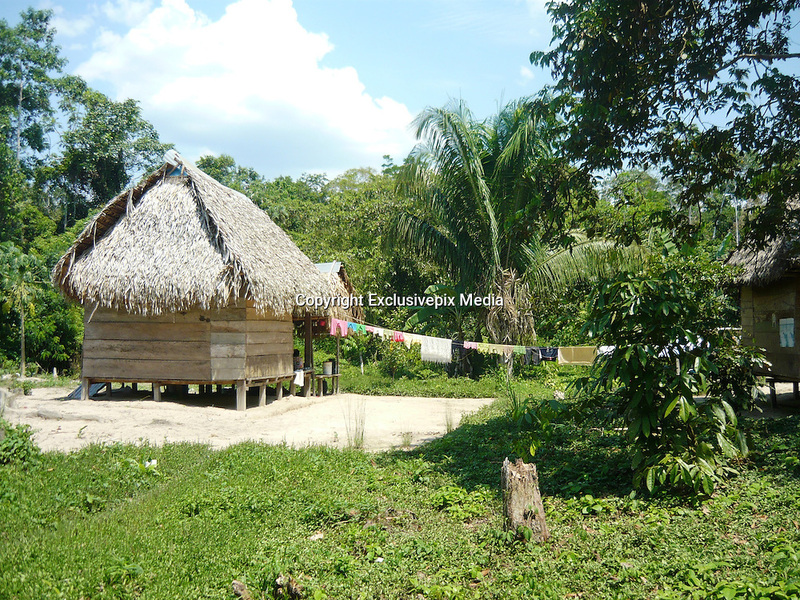 For 600 years the Mashco Piro clan – also known as Cujareno people – have lived in the forest in Peru close to the border with Brazil and had no contact with the outside world. But recently – threatened by 21st century logging, drugs cartels and tourism – the rarely seen indigenous tribe have broken cover from the forest to raid villages for food, tools and weapons to hunt. In May, Leonardo Perez, 20, was killed when he was shot with an arrow by tribe members who wanted his tools. In 2011 local guide Shaco Flores, a Matsigenka Indian, was murdered by the tribe. Shaco had given them machetes, pots and pans for 20 years and had developed a good relationship with the clan. But it is believed he was killed with an arrow to the heart after he tried to persuade them to settle and end to their nomadic hunter-gatherer life. ‘The Mashco Piro have been present in this area for as long as anyone can remember, and have in a way been enticed out of their forest home onto the riverbanks by missionaries and other missionised indigenous people,’ Rebecca Spooner for campaign group International Survival told MailOnline. The increasing contact between the Mashco Piro people and other indigenous communities is slowly peeling back the layers of secrecy that have shielded them from modern society. Members of the tribe have been spotted a record 100 times already this year, Peru's deputy culture minister Patricia Balbuena said. While others have even left the forest and now live among the neighbouring Yine Indians, who speak a similar language.